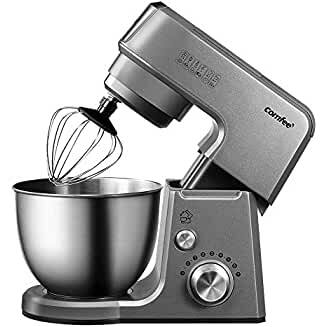 $199.99 KitchenAid KSM75SL Stand Mixer, 4.5 Qt. Classic Plus Tilt Head with Dough Hook, Flat beater - dealepic . This KitchenAid KSM75SL Stand Mixer, 4.5 Qt. Classic Plus Tilt Head includes 4.5-qt. stainless steel bowl, nylon-coated flat beater, nylon-coated dough hook and stainless steel wire whip. Flat beater is perfect for all-purpose mixing. Dough hook is perfect for kneading bread dough. Wire whip adds air into ingredients for fluffy results. It has 275-watt motor for powerful mixing on a variety of foods.